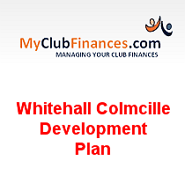 Whitehall Colmcille established a Ladies Football section in 2003 - this has since become one of the quickest growing sections in the club with girl’s teams currently competing at the following age groups: u10, u12, u13, u15, Minor and at Adult level. 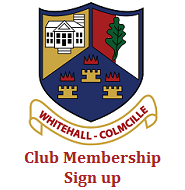 The club also has a thriving “Bua Nua” section which caters for children aged: 4-8, and there is a very distinguished “Gaelic 4 Mothers & Others” section which competes in various tournaments throughout the year. As a club and as mentors, we are keen to foster a fun and a positive environment for all our teams. Training sessions are designed to focus on both the social/fun aspects of development, while also incorporating the necessary skills of Gaelic Football. All mentors have been Garda vetted and have completed coaching courses which are refreshed on an on-going basis. If you are interested in joining one of our teams, then please the contact relevant mentor below. We look forward to hearing from you!